Thinking Cap Create is an authoring tool in the cloud. 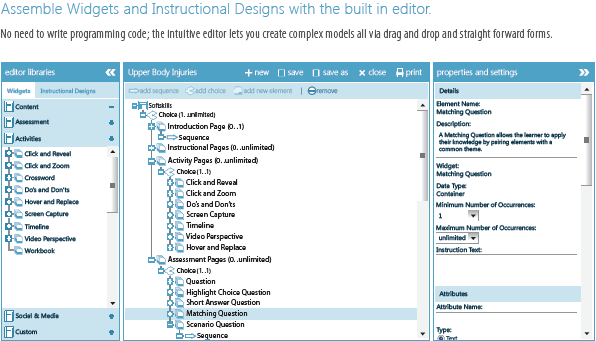 Use our rich and growing library of widgets to model your instructional designs without writing a single line of code. Use wizards to brand your own themes or get your web developers in the mix and build your own custom widgets and skins. Create is accessible by any technical level and will never limit your creativity. The main goal of Thinking Cap Create is to reduce the complexity of XML and empower Instructional Designers. Create strives to offer a development framework for developers to tame the production process and embrace the development languages common across the community. We want you to Create! 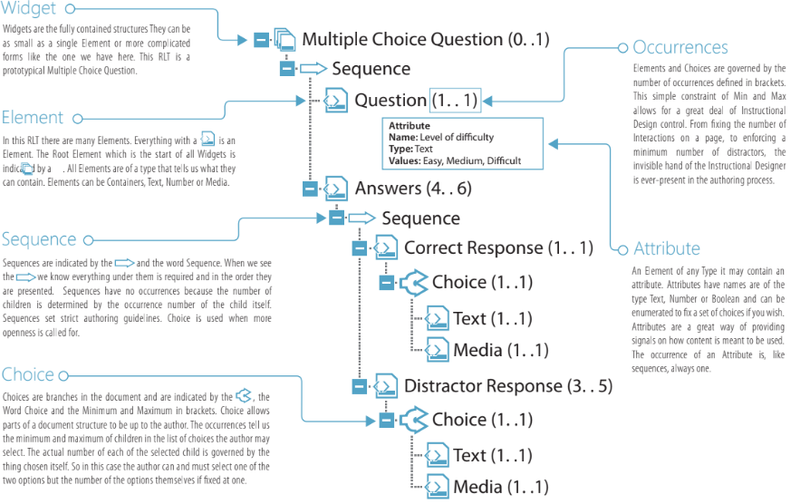 In the instructional design you can use widgets joined together by pages, container elements, sequences and choices to create a multitude of instructional designs to fit any pedagogy.